This is my triumph for the year, in fact for all time, if the photo link works. It's not hedgerow, but was free, and I was so pleased with it that I have to show off whenever I can get people to listen, like an ancient mariner. Went prawning, one of my favourite foraging activities, and exceeded myself, catching for the first time a lobster. This one weighed in at 33/4 pounds, and did for four meals, each of which had all the lobster I wanted. It isn't often I eat all the lobster I want at a sitting. Truly a triumph David, very well done! Where did you do this fine deed? At low water between Tenby and Monkstone, on a big spring tide. I was looking for prawns in a hole, and got a few out, then as I went round the corner saw a big claw a few inches below the muddy water, and lunged for it. I reckon the hole went right the way through, and I pushed it out. I know the exact spot, and I'm hoping that it is such an attractive hole that another lobby will have ensconced itself by next year, if the sand levels (which move up and down a bit) are right. 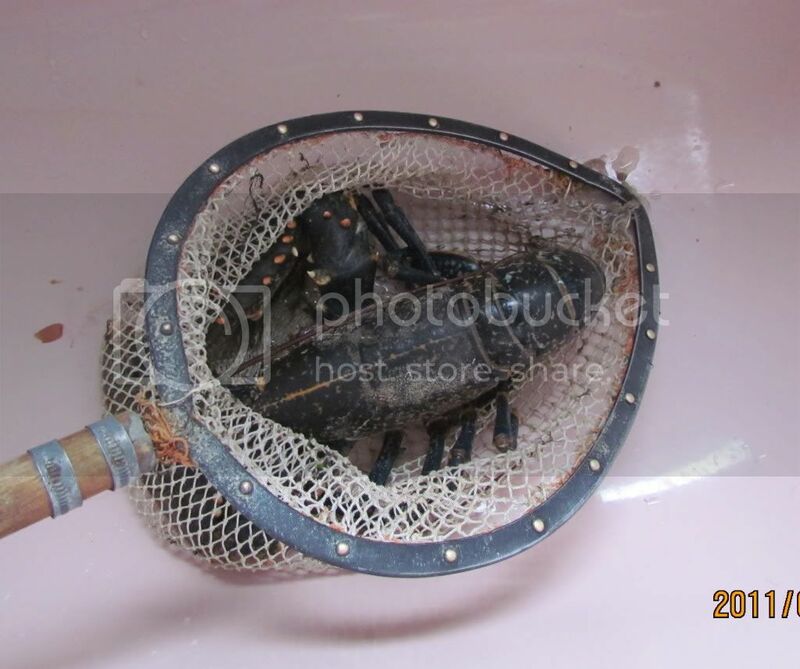 That was the end of prawning for the day, as I had to take it home in the net. This is it before cooking, in the net I used. Marvellous! 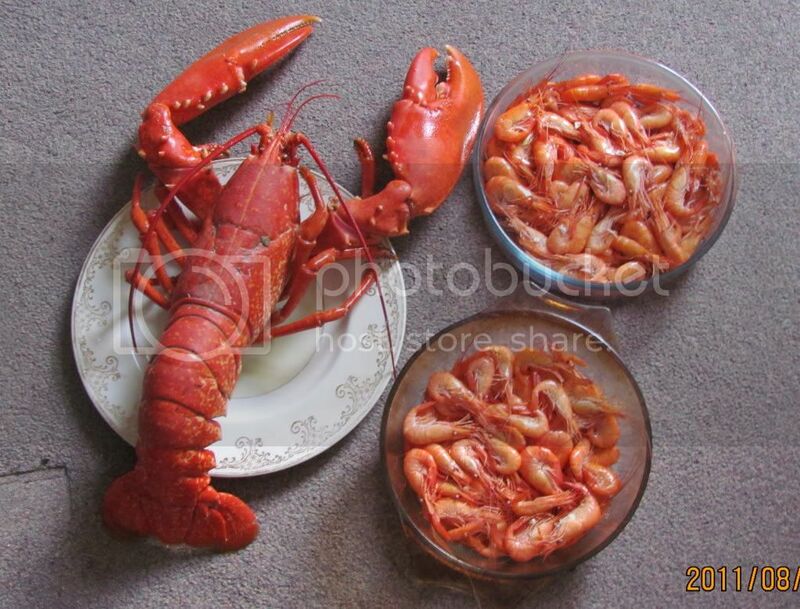 I know where there is a huge Crayfish locally but it is too far below the road level for me to have a hope of getting it. Good luck for next year. What do they hope to gain out of this?